Extreme weather conditions, storms, flooding, droughts and ice melting are the new reality in too many parts of the world. People are losing their livelihood, their homes, their jobs -- and even their lives. While scientists and faith leaders call for urgent action, our political leaders have failed to take necessary actions. Years ago, someone in the global disarmament movement came up with a humorous way to draw attention to a desperately serious topic. 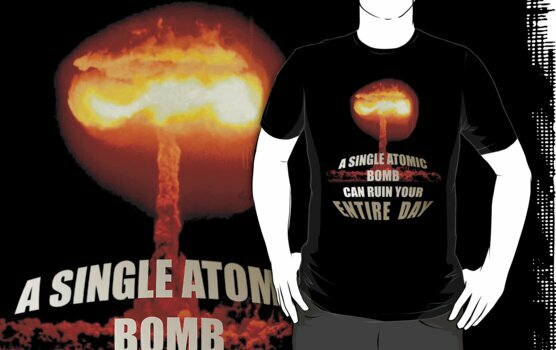 The slogan a single atomic bomb can ruin your entire daysoon appeared on buttons everywhere, and it came to symbolise the absurdity of the military strategy of mutually assured destruction. Decades later, another kind of assured destruction looms as climate change dramatically change weather patterns across the world. When Hurricane Sandy swept into the American eastern seaboard, many New Yorkers experienced aspects of devastation that hit like the aforementioned nuclear bomb. Suddenly, climate change was no longer an abstract conversation. People's lives had been affected in a way they never imagined. In New York City, there was a new immediacy to the issue of global warming. And so, last September, I found myself surrounded by thousands of New York trade unionists as the People's Climate March surged through Manhattan. In the labour rally at the start of the march, the leader of a New York nurses' union described the scene in her hospital emergency room as the victims of Sandy poured in, while her members elsewhere were evacuating patients from hospitals that had lost electricity. Transit workers saw the subway tunnels flooded for days, janitors were impacted as scores of office buildings shut down, and IBEW electricians worked overtime to repair damaged power lines and transformers. 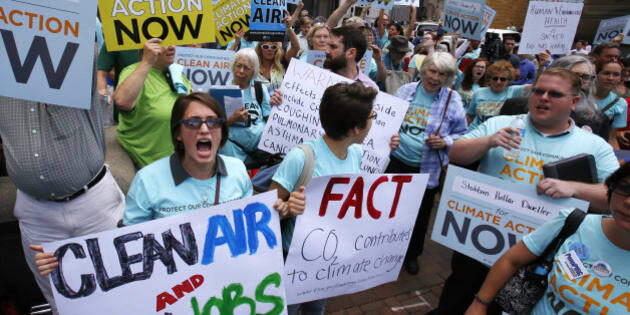 SEIU Local 1199 members were out in force carrying signs that proclaimed "climate change is a health issue." Teachers and Teamsters and City employees shared the street with a message of common concern. It was breathtaking. There is no doubt that climate change threatens the future of all humankind. Extreme weather conditions, storms, flooding, droughts and ice melting are the new reality in too many parts of the world. People are losing their livelihood, their homes, their jobs -- and even their lives. While scientists and faith leaders call for urgent action to reduce the emissions of greenhouse gases, our political leaders have failed to take necessary actions. Fossil fuel corporations are using their wealth and power to embrace an "extreme energy" agenda; this includes far riskier and dirtier energy extraction methods such as tar sands, hydraulic fracking and arctic drilling. The extreme energy agenda has serious implications for communities and the environment because these corporations are also using their wealth and power to oppose or delay all serious efforts to address climate change. We don't have to choose between the economy and the environment. Real climate action means investing in clean energy infrastructure, mass public transit, energy-efficient buildings and affordable housing. It means expanding low-carbon sectors like healthcare, education and sustainable agriculture. It includes just transition for workers and communities facing changes to more sustainable industries. By taking real climate action, we can create an economy that is more fair and equal and offers hundreds of thousands of good new jobs. We need an economy where workers win, communities have more democratic control, and those most impacted and impoverished are the first in line to benefit. An economy that honours indigenous peoples' rights and recognizes their role in protecting the land, air and water for everyone. An economy that respects the limits of the environment made clear by climate science. It is morally indefensible for corporations and governments to continue to pursue an economic growth strategy that brings our climate closer to an irreversible tipping point. Instead of defining environmental action as "aspirational", the Canadian government should go to the Paris climate negotiations with credible climate goals to prevent more than a 2 degree Celsius warming of the world. We shouldn't have to suffer through extreme weather events to take this issue seriously. In July, Toronto will host a Pan-American Climate Summit and an Economic Summit, where politicians like Stephen Harper will join corporate leaders to push an austerity agenda that increases inequality while ignoring the pressing environmental crisis. On the eve of those summits, I will be joining many others in the streets of Toronto to demand a justice-based transition to a new energy economy. I hope you'll join us as well. It is the only alternative to the 21st century version of mutually assured destruction.